Welcome to the V e r s a c o r p home page! © Copyright 1996-2018 Jeffrey R. Charles. All Rights Reserved. REGISTERED COPYRIGHTS MCMXCVIII, MMIII, MMX, MMXVII by Jeffrey R. Charles. ALL RIGHTS RESERVED. All text and images © Copyright 1998-2018, Jeffrey R. Charles, All Rights Reserved. VersAgonal (TM): the all-in one accessory! licensed "Shareware"; plus books and multimedia by Versacorp and Versacorp personnel. All text and images © Copyright 1996-2018, Jeffrey R. Charles or Specified Organizations. (Amateur Astronomer's "Plumbing Manual") Available as "Shareware" Date TBD. 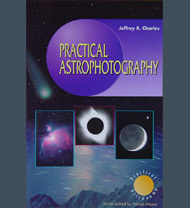 This informative book captures the effective ways Jeffrey Charles learned astrophotography, sometimes through trial and error. Included are many tips about photography of planets, nebulae, eclipses, and more, plus a sample check list for travel and an astrophotography exposure guide. Covered are use of a wide range of telescopes and camera lenses, but the emphasis is on what can be done smaller aperture telescopes because these are what more people have. If you like the astrophotography related articles at the versacorp.com and eclipsechaser.com web sites, you'll really like this book! It is envisioned that a CD (if approved by the publisher) intended for use with this book will eventually be available for sale. If implemented, CD would include color image files for most photos in the book, plus minor updates or errata notes. On line errata notes may also be available at this link in the future. CD: Navagable CD of Eclipse Chaser web site, plus high resolution 360 degree VR eclipse site images. Book: Hard copy book is unlikely, partly because printing costs are high for a book with images that could rival large HDTV and computer displays. CD: EclipseChaser web site (with extra images): $19.95 including CONUS shipping. Version with larger pix may be avail. late 2018. Unless otherwise noted, all printed and media items have a $4 shipping & handing charge (per order, not per item) for continential U.S. Please inquire about shipping to other destinations. Prices, specifications, and availability of all items shown or described here or elsewhere at the versacorp.com and eclipsechaser.com web sites are subject to change without notice. Some discontinued Versacorp adapters are still in stock. They are listed under Closeout specials & one-of-a-kind items in the Versacorp Optical Instrumentation section. For information about discontinued or special order products, engineering of custom items, technical writing services, or licensing patent or technology rights, please contact Jeffrey R. Charles at: jcharles *at* versacorp.com. All material in this section © Copyright 1975-1996 and 1997-2018, Jeffrey R. Charles, All Rights Reserved. Use of this material is subject to the Terms and Conditions posted at this web page. In downloading material from this web page or transferring said material from a cache, you are deemed to have agreed to these terms and conditions. Astro Gadgets! Amateur Telescope Making Projects. Notes and errata for the book Practical Astrophotography (Under Construction) Short web document with minor updates and errata information for the book. Influence of Marginal Ray Angle to Anti Alias Filter on Digital Image Quality. Ever wonder why you get unwanted edge and corner blur when you use wide angle rangefinder lenses on your Micro 4/3 and other interchangeable lens digital cameras? Here's why. HO Model Railroading on 1m x 1.25m Industrial Shelving - a real space saver! Leica M9 Initial Review, Tests and Comparisons (2013) Includes comparison to Hasselblad-Imacon V96C digital back. The sound of musical royalties (under construction), a concept for how musicians and the recording industry can get paid while the people get music they want, from where they want. Fixing the gambling epidemic (under construction), a concept for how to limit the impact of gambling on those who don't gamble. For information about engineering and technical writing services, purchasing special order products, or licensing patent or technology rights, please contact Jeffrey R. Charles at: jcharles *at* versacorp.com. Welcome to the Eclipse Chaser home page alias! Here, you will find information about the EclipseChaser home page. © Copyright 1997-2006 Jeffrey R. Charles, All Rights Reserved. Most content of this site covered by registered copyrights. COPYRIGHT MCMXCVIII by Jeffrey R. Charles. ALL RIGHTS RESERVED. or preview the linked EclipseChaser table of contents below. All material in the EclipseChaser web page and associated web pages © Copyright 1975-2004 Jeffrey R. Charles. All Rights Reserved. 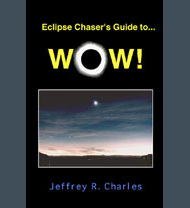 Astrophotographer's Journal, ALAT, ARDOC, Eclipse Chaser's Guide, Eclipse Chaser's Journal, eclipsechaser.com, eclipsemovie.com, versacorp.com, and associated concepts, data, designs, images, and other elements are the property of Jeffrey R. Charles. All content is protected by intellectual property laws. Any form of reproduction or posting of any part of any associated document at web sites other than "eclipsechaser.com", "eclipsemovie.com", or "versacorp.com", or any commercial use (such as in a seminar, product, program, broadcast, publication, or motion picture) of data or other material in this web page, or of related material by the same author (whether said material was obtained directly or indirectly) without including this notice and without the prior express written consent of Jeffrey R. Charles is strictly prohibited. Any use other than for private, non-commercial purposes is strictly prohibited. Use of this material is subject certain Terms and Conditions. In using this site, downloading material from it, or transferring said material from a cache, you are deemed to have agreed to these terms and conditions. For information about the licensing and/or purchase of images and/or articles (or related book, movie, patent, or technology rights) please contact Jeffrey R. Charles at jcharles *at* versacorp.com. In order to allow expeditious viewing by persons with slow internet connections, most articles at eclipsechaser.com will initially load as "text only" documents. Relevant images and captions will typically be on separately linked pages at the end of each article. The following eclipse documents are currently at the EclipseChaser.com site. A few are repeated in the Versacorp web page. Registered Copyrights MCMXCVIII, MMXVII by Jeffrey R. Charles. ALL RIGHTS RESERVED. Registered Copyright MCMXCVIII for Eclipse Images by Jeffrey R. Charles. ALL RIGHTS RESERVED. Eclipse images (including solar chromosphere, prominences, and corona, earthshine on the moon, and 360 degree panoramas of the lunar umbra) are in the Eclipse Photo Gallery section of the EclipseChaser Web Page. Astronomical images (film photos, digital images, and drawings) are also in the Eclipse Photo Gallery section of the EclipseChaser Web Page. Live and same day webcast images of astronomical events (when such events are observed and uploaded) are yet another feature of the Eclipse Photo Gallery section of the EclipseChaser Web Page. Selections from all of these images are also part of the VersaGallery (TM, SM). Astronomia Sigma Octante, (ASO) a center for astronomical research in Cochabamba, Bolivia. Click here to see the ASO home page! Colorado Computer Museum, a non-profit organization. Versacorp (TM, SM) is a business that is dedicated to the development and marketing of highly innovative and versatile products, services, and technologies that encompass many fields. Versacorp was founded in 1983 near Estes Park, Colorado, by Jeffrey R. Charles. Versacorp began as a merger of the Jeffrey R. Charles' photography and art business (photography services, custom enlargements, drawings, exhibits, etc. ); related marketing publication (e.g. brochure, etc.) design business; and camera and instrument repair and sales business. At the same time, Mr. Charles' "JRC Designs" (TM, SM) business also came under the umbrella of Versacorp. This aspect of the business also involves photography, but emphasizes a wide range of new technology development and related speculative product and intellectual property (IP) marketing. The name "Versacorp" was originated for the business because it was descriptive of the many encompassed markets and the versatile nature of the original and planned products, services, and technology. The first Versacorp-designed product (not counting artwork) was the VersAdapter (TM), a multiple function photographic and visual adapter for telescopes and other optical systems. Several months later, Versacorp moved its operations to Arizona, and, with an advertisement in the January 1984 issue of Sky and Telescope magazine, began to internationally market a variety of its products, including the highly innovative VersAgonal (TM), a multiple function photo-visual flip mirror attachment for telescopes, surveillance instruments, microscopes, and other optical systems. In the next few years, Versacorp performed a variety of services including several types of repair and consulting engineering. Versacorp also obtained several patents, transferred some of its technology to licensees, and marketed (wholesale and retail) many additional products. By 1991, Versacorp had introduced more than 80 new optical, mechanical, electronic, and published products, some of which are still on the market today. While many Versacorp products relate to optics, other past and present Versacorp products, services, and technologies encompass a wide variety of additional markets including aerospace, astronomy, consulting, engineering, industrial equipment, sporting goods, surplus items (including miscellaneous items), transportation, furnishings, novelties, toys, games, ornamental design, publications, photography; film, video and digital cameras, video accessories; video production, custom machining, and more. Up through 1991, Versacorp was also a dealer for Questar and Vernonscope instruments, and Versacorp customers have ranged from individuals, to universities, to the NASA funded Jet Propulsion Laboratory. In 1993, Versacorp moved its operations to California and began to place more emphasis on IP and services. At this time, Versacorp discontinued some of its simpler astronomy related products in favor of a smaller number of more versatile multifunction products. In 1996, Versacorp began to emphasize Internet marketing of its products, services, and technology. Services were expanded to include image processing, web page design, technical writing, screen writing, editing, referrals, science consulting, design engineering, conceptual design, and system engineering. 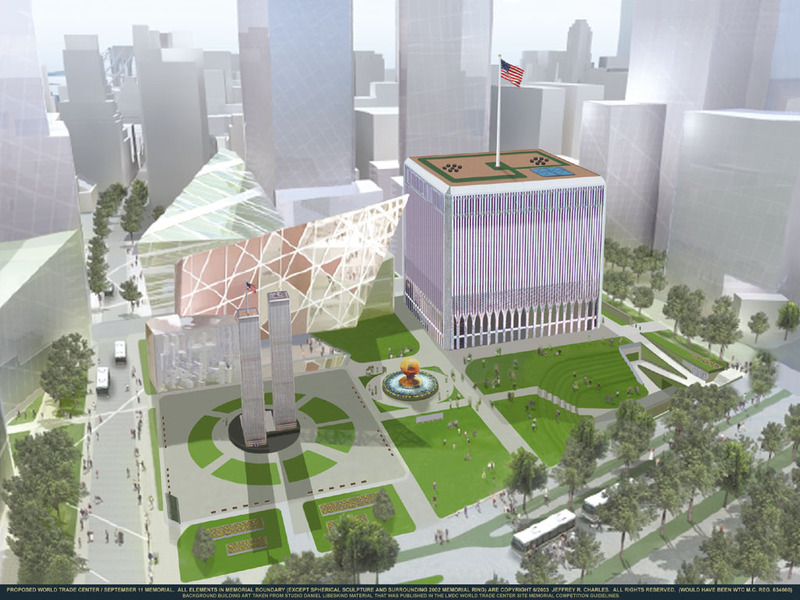 Products, technologies, and other intellectual property developed or introduced during this time include airborne and space platforms, communications, medical, software, written works (including action, historical, science fiction, and technical), and new technology for 360 degree panoramic imaging. By 1997, Versacorp had built on its founder's 1980's wide angle imaging concepts to go beyond 360 degree panoramic imaging and developed technology for true one shot full sphere imaging and associated virtual reality environments. Versacorp subsequently obtained related utility patents encompassing over 100 claims. In 2000, the founder of Versacorp authored the book "Practical Astrophotography", which is published by Springer-Verlag. About this web site: This web site includes information about Versacorp engineering services, optical instrumentation and technology. It also includes technical articles and links relating to astronomy, total solar eclipses, and more! It is administered by Jeffrey R. Charles and served by KTB. Please send Versacorp E-mail to: sales *at* versacorp.com and personal E-mail to: jcharles *at* versacorp.com. For expeditious navigation, minimal graphics are used in the table of contents. To view each item or directory, click on the appropriate blue or pink type in the above top level T.O.C., or in the expanded T.O.C. The expanded table of contents near the top of this web page shows most items that are included in, and envisioned to be included in, this web page. Some items are still under construction; therefore, some links do not presently have destination files. Links that do NOT presently have complete or matching files are followed by the suffix "***". If links without this suffix do not work, try using the "reload" feature on your browser. The content of this web page is intended to be equivalent to a "G" movie rating, so it should be suitable for visitors of all ages. The content of first level (i.e. "direct") links from this web page should be equivalent to a "G" or "PG" rating. Please E-mail Versacorp if you find that any of the direct links are not equivalent to a "G" or "PG" rating. Thank you. This web site is intended to promote interest in Versacorp products and intellectual property. Material from this or any associated web page may not be broadcast, published, or otherwise reproduced unless the following and linked conditions on the Legal Information Page have been read and agreed to by the subject users, broadcasters, publishers, or their legal representatives, and unless those using the material have paid the specified royalties. Accordingly, anyone who reproduces, broadcasts, distributes, or commercially uses material from this or any associated web page shall be deemed to have agreed to the terms and conditions set forth herein and in the linked Legal Information Page, and shall thereby be liable for at least the royalties specified therein, whether or not Versacorp is aware of, or provides notice of, any alleged unauthorized use. © Copyright 1975-2006, Jeffrey R. Charles. All Rights Reserved. All content is protected by intellectual property laws. Any use other than for private, individual, non-commercial purposes is strictly prohibited. Unauthorized use is subject to being prosecuted to the full extent of the law. Unless specifically noted otherwise, all material in this web site is the intellectual property of, and is written or produced by, Jeffrey R. Charles. Material at this web site may only be downloaded by individuals for their own private non-commercial use, subject to the conditions herein. Those wishing to use material from this web page in commercial applications should direct their inquiries to Jeffrey R. Charles (jcharles *at* versacorp.com). For information about licensing Versacorp patent, technology, publication, or trademark rights, please contact sales *at* versacorp.com. In addition to other indicated restrictions, the following conditions apply to all limited and unlimited use of all concepts, documents, data, designs, images, inventions, trademarks, or other material written or produced by Jeffrey R. Charles, served under or transferred from this web page or other pages at the domains "versacorp.com" or "eclipsechaser.com", or derived from material therein, whether said material was obtained directly or indirectly: Any form of reproduction or posting of any part of this document or any associated material at web sites other than eclipsechaser.com or versacorp.com, or any commercial use thereof (including use in a seminar, product, program, publication, broadcast, or motion picture) of data or other content of this web site and the eclipsechaser.com web site, or of related material by the same author (whether said material was obtained directly or indirectly) without including this notice and without the prior express written consent of Jeffrey R. Charles and all applicable contributors is strictly prohibited. Permitted private non-commercial use, reproduction, and affixing any part of subject material to any permanent media (including magnetic, optical or printed media) is permitted only on the condition that every copy or fixation of said material; is not altered, modified or defaced; includes references to this home page and the names of all applicable articles and authors; and that all names, patent notices, copyright notices, authorship notices and credits are either left unmodified or are prominently displayed in or immediately adjacent to each image and article. It shall also be prominently indicated on every copy or fixation of said material that commercial and intellectual property rights to data and other material therein are not transferable. In downloading material from this web page or transferring said material from a cache, you are deemed to have agreed to these terms and conditions. For information about the purchase of products and/or the license or purchase of designs, images and/or articles or related book, movie, patent, or technology rights, please contact Jeffrey R. Charles. The trademarks (and service markes or trade names, as indicated) DiaGuider (TM, local use 1983, first interstate and international use 1984), eclipsechaser.com (1997), Eclipse Chaser's Guide to... WOW! (1997), Eclipse Chaser's Journal (1997), EZ Level (1997), Jeffrey R. Charles (TM, SM 1974), Jeffrey R. Charles Productions (1995), JRC Designs (TM, SM 1980), JRC Productions (1991), jrcharles.com (2004), MicroDec (1986), MicroStar (1988), Nerdabilia (1996), Omniflector (1997), OmniLens (1988), Omnimmersion (1998), Omnimmersive (1998), Omnirama (1997), Omniramic (1997), Omniramix (1998), OmniSales (1997), OmniVR (1998), OptiDisc (1987), Sun Zapper (1997), The Reality of Virtual Reality (1997), Total Immersion (1997), Total Immersion VR (1997), Total VR (1997), Versacorp (TM, SM, TN, 1983, interstate and international use in many fields since 1984), versacorp.com (TM, SM, 1996), versacorp.co.uk (2005), versacorp.de (2005), versacorp.us (2004), VersAdapter (1983), VersaDrawer (1987), VersaFinder (1987), Versaflector (1997), VersaFocus (1985), VersaGallery (2004), VersAgonal (1984), VersaGuider (1984), VersaJeff (1999), VersaModule (1983), Versarama (1997), VersaScope (telescopes 1987, other optics 1997), VersaStuff (2004), VersaWheel (1990), VidFinder (1990) and associated concepts, data, designs, images, and other elements shown and described in this or related documents or communications are the sole property of Jeffrey R. Charles and are subject to the same conditions as the other material at this site and any additional protections under trademark law. 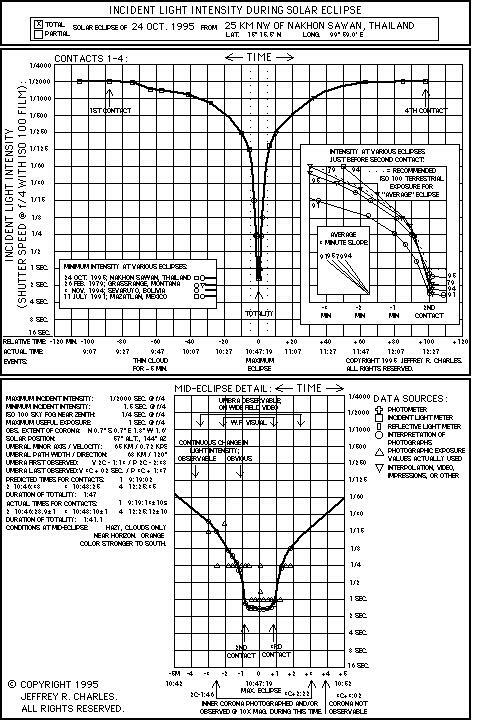 Prices, specifications, and availability of all items shown or described at the versacorp.com and eclipsechaser.com web sites (and in related brochures, advertisements, and communications), and conditions of use for both web sites and related web sites, are subject to change without notice. Additional terms, conditions, restrictions and disclaimers apply. Some of these are set forth in each particular document and in the linked Legal Information Page. The form is under construction. Please direct all product sales inquiries to: sales *at* versacorp *dot* com. Please direct all licensing inquiries to: sales *at* versacorp *dot* com. * To see the version of 24 April, 1997, enter "/vlink/orderfrm/orderfrm970424e090816.htm"